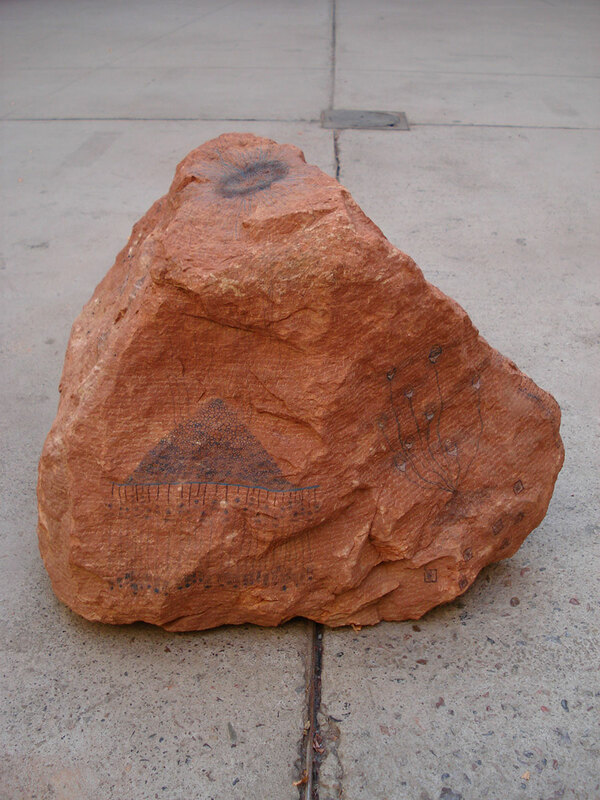 Breaking apart a 350lb rock over 6 months. 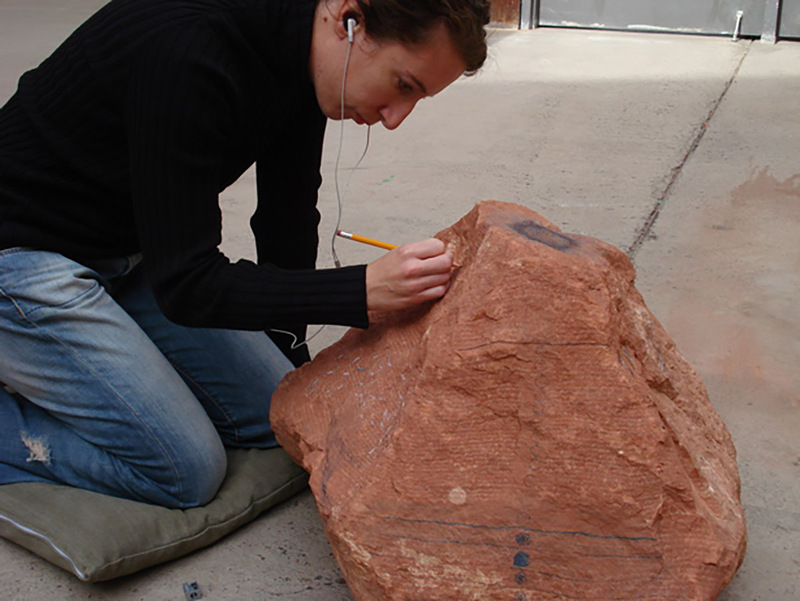 Word-like scribbles were scratched in rows into a 350lb rock and drawings related to layering, communication and complexity were drawn on top. 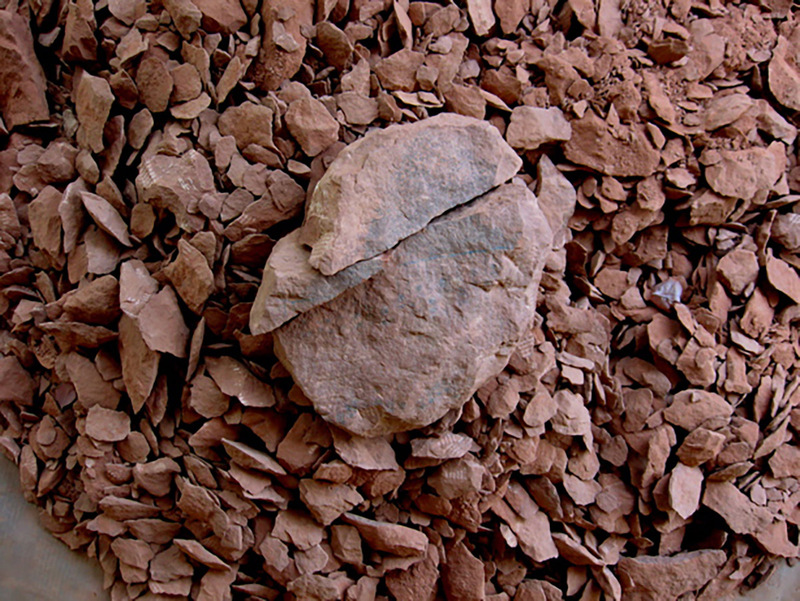 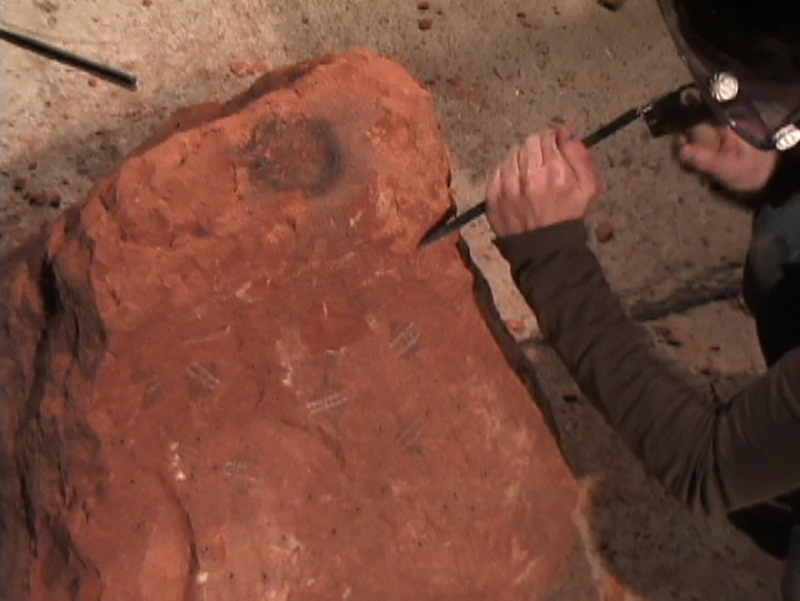 Phase 2: Using simple rock carving tools, the rock was broken apart over a span of 57 hours over 5 months.